I’ve posted several pieces discussing the role of the Saudis and their form of Islam, Wahhabism, in promoting the terrorism and vicious religious intolerance and warfare that has now overwhelmed the Middle East. Many of these pieces come from Michelle Thomasson, one of the commenters on this blog, who had done extensive research on these issues. Here’s another piece she posted in response to my previous article on modern terrorism and the role of covert American espionage actions in destabilising Assad’s Syria. Muhammad Ibn Abdul Wahhab (born 1702/3) in Nejd, central Arabia founded Wahhabism. He was a zealous reformer; he looked at the intentions behind actions and advocated the most scrupulous, most inflexible interpretation of Islam, he also called for believers to engage with the Quran directly. Muslims who did not share his strict interpretations, including his application of Sharia law were to be gently persuaded; if this did not succeed then arms were called against them to bring them back in to the fold (trying not to kill them). This tactic was also applied to Shi’ites. Adult males who fought against Islam and who were polytheists, that refused to convert were executed. The Al Saud family backed by zealous Wahhabi’s (who considered it their task to purify Islam) have dominated central Arabia since the mid eighteenth century. Endorsement by leading Wahhabi scholars, legitimised the Saudi monarchy. Rasid Rida (1865 – 1935, Syria) was a pupil of the great Egyptian reformer Muhammad Abdul; he urged Muslims to find unity and focus in Islam with a dynamism in their own traditions as an essence of Jihad. As Rida grew older he condemned the abolition of strict Sharia practices such as cutting off the hand, but he also began to praise Wahhabism and was a passionate supporter of the new Saudi kingdom. Rida’s endorsement enabled the spread of Wahhabism beyond the kingdom’s borders. Conflicts increase – until 1914 Rida advocated coming to a mutual arrangement with Zionism, then after WW1 the Arabs wanted to collaborate with Israel directly, however, Zionist leaders such as Chaim Weizmann decided it best to cooperate with Imperial Britain instead. “For Rida, this put them on the other side of the great divide, and like many other Arabs he came to see Zionism as a British tool to split and dominate the Arab world. From the late 1920s onwards, he mined the most hostile traditions to Jews in Islam and combined such material with the conspiracy theories of European anti-Semitism to attack the Zionist project and Jews in general. Thus, he focused on the hadith (italicised) ‘The Jews will fight you and you will be led to dominate them until the rock cries out; “O Muslim! There is a Jew hiding behind me, kill him!”’ He claimed that the Torah exhorted Jews to exterminate people that they conquered, and that the Jews rebelled against God by killing the prophets he sent after Moses. They invented Freemasonry and the Western banking system, and in recent years had created capitalism in Western Europe and Communism in Eastern Europe with which to plot against the European nations. He also saw Jewry as contributing to Germany’s defeat in First World War in exchange for Britain’s promise to grant them Palestine. Please note tribal rivalry and local conflicts continued during the nineteenth century in Saudi, the charismatic Abdul Aziz Ibn Saud disposed of most local rivals in the first 2 decades and he conquered the holy cities of Mecca and Medina, as well as Hejaz in 1924/5. The new Saudi Arabia was eventually proclaimed as such in 1932. The British then supported the Saudi’s because they saw them as a counterforce to the Ottoman Empire i.e. divide and conquer. Re the role of academic legitimisation in the last decade, there have been calls for an Islamic front by Sheikh Essa an Egyptian ideologue who wanted to forge an Islamic front from 2003 and also Dr. Israr Ahmed an academic who called for the revival of the Islamic Caliphate. Interestingly, the link to Berlusconi’s masonic lodge in above link has ‘disappeared’ since the article was published! This is very much what I’ve found out, simply through looking through standard reference works like Carl Brockmann’s History of the Islamic Peoples and the Oxford Encyclopaedia of World Religions, as well as Alfred Kopel’s study of the modern religious revival, The Revenge of God. 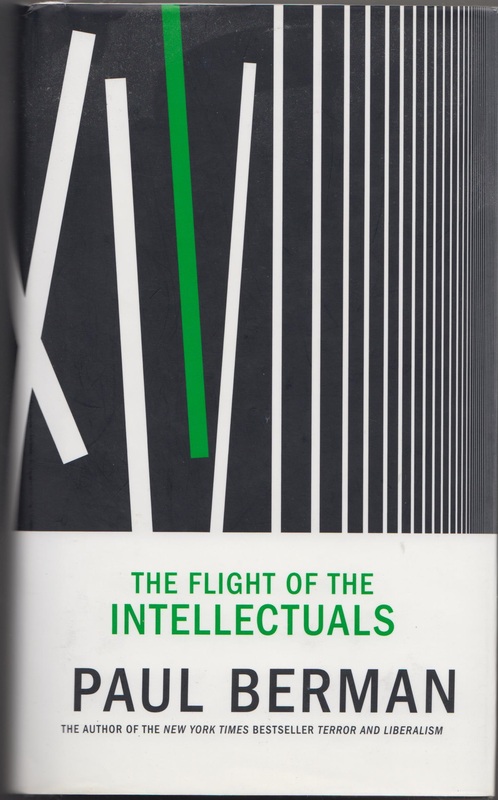 Berman, in his book, The Flight of the Intellectuals, also puts the origin of the vicious anti-Semitism now poisoning the Islamic world to the influence of Nazi propaganda following the establishment of Israel. The Nazis were hoping to manipulate Muslim public opinion to mobilise them against their British overlords in support of Nazi Germany. Before then he notes that there was little anti-Semitism in Islam, and that 19th century Jewish scholars generally saw Islam as being far more hospitable and welcoming towards Jews than the Christian West. I’ve also found second-hand bookshops to be invaluable treasure troves for good books. I did see in one of them in Cheltenham a few months ago a documentary history of Israel and the Arabs, so books on this complicated and highly emotive subject are about. As for the Masonic lodge, Propaganda Due, or P2, their role in modern Italian politics is extremely murky. There are articles in Lobster linking them to some of the Fascist antics in Italy in the 1970s, such as the Bologna railway bombings, where the Neo-Fascists blew up a train station killing and injuring something like 127 people. They also seem to have some involvement in the death of ‘God’s Banker’, Roberto Calvi, who was found hanging under London Bridge, between the low tide and high water mark, with his pockets full of stones. This is supposedly one of the punishments in the Masonic oath that’s meted out to people who betray the brotherhood’s secrets. Calvi was also a senior figure in the Vatican bank, the Banco Ambrosiano, which was then in the middle of a corruption scandal. Forget stupid, murderous lies like the Protocols of the Elders of Zion. Conspiracies really do exist, and real politics is riddle with them. Fox Mulder didn’t know the half of it. Channel 4 broadcast a programme about a decade ago now also examining the roots of modern Islamic terrorism. This also showed pupils in Saudis schools dutifully learning that hadith, and being explicitly taught that it was their religious duty as Muslims to fight and kill Jews. The allies might be our allies in the War and Terror, but they’re extremely untrustworthy. It’s been partly through Saudi influence that the ideology behind modern Islamic terrorism has been spread, and terror groups funded.